Hooked on Needles: Crocheted Hot Pad/Potholder - It's double thick! 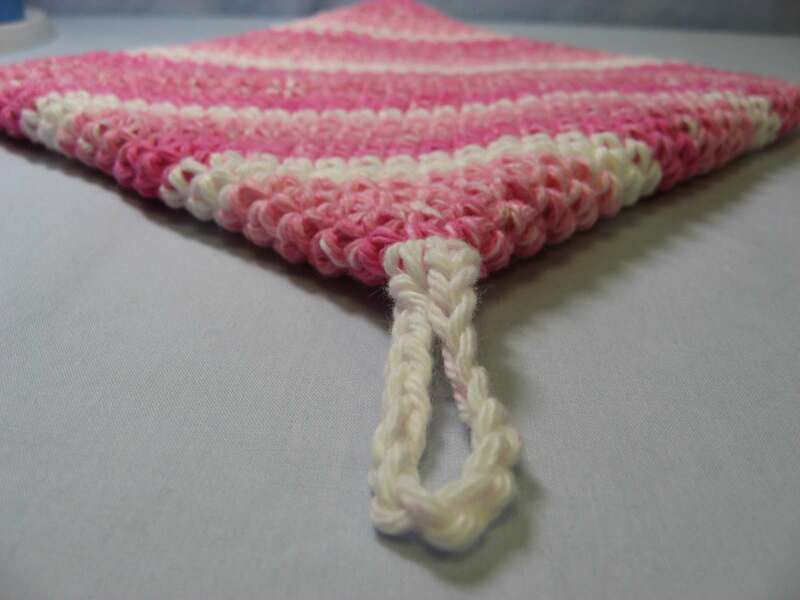 Here's a classic crochet design that has been around for generations. Perhaps you remember these in your mother's kitchen growing up, or maybe you even have one or two in your own kitchen. 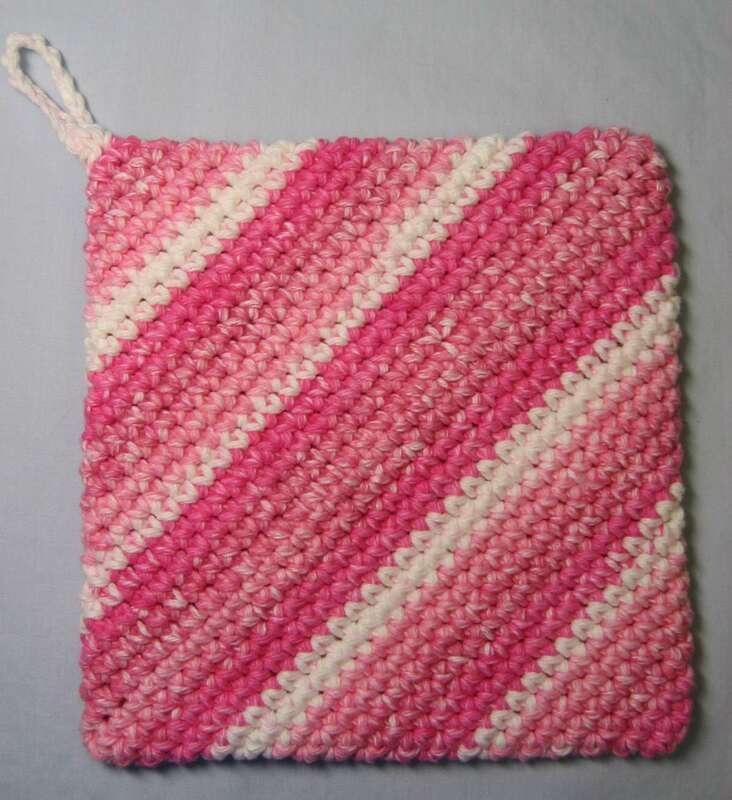 It's no wonder, because these crocheted hot pads or pot holders are double thick, 100% cotton, can be made in any color or color combination, and they just feel good! 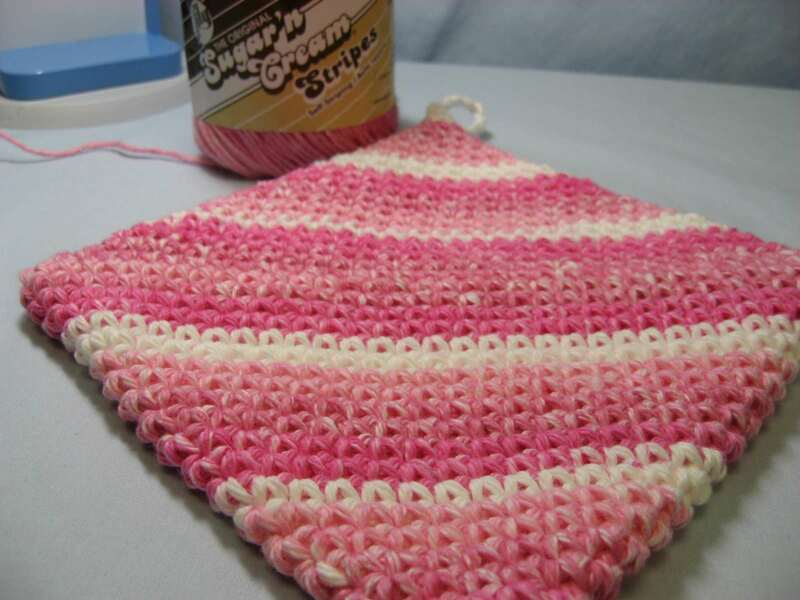 Just look at all that crocheted cotton yumminess! 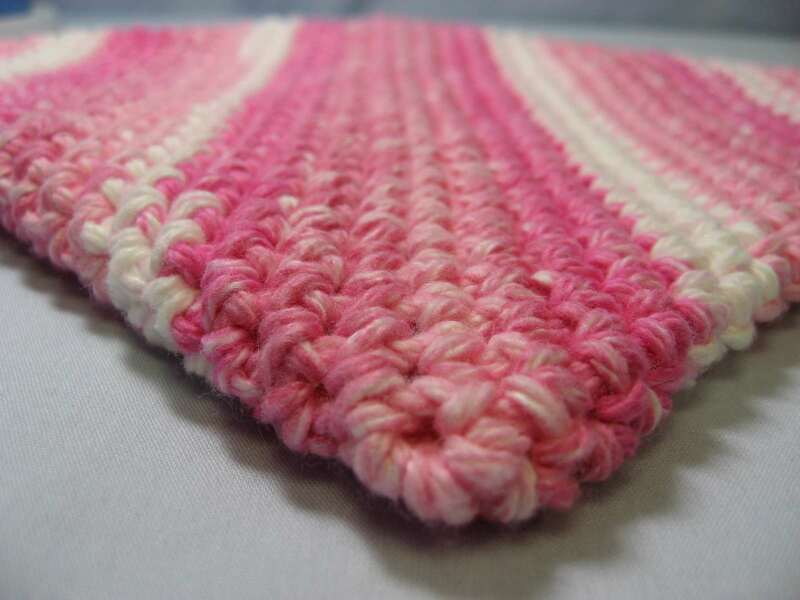 It takes exactly one 2 ounce ball of cotton, 37 chain stitches and about 1300 (give or take a few) single crochet stitches to make one of these hot pads. And look how thick it is! 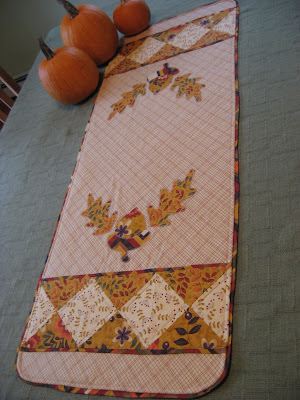 It even has a loop so you can hang it near your stove. Would you like to make one for yourself? I'll be sharing the pattern and a video tutorial in the next day or so, as long as blogger behaves and lets me publish my video! But if you like these hot pads and don't feel like making them for yourself, check out my Etsy shop. I'll be adding a handful of these great hot pads in several different colors later today. I'm also happy to make them for you in the color of your choice. Just zip me an email and let me know what you have in mind. Are you planning a kitchen bridal shower for a friend or relative? 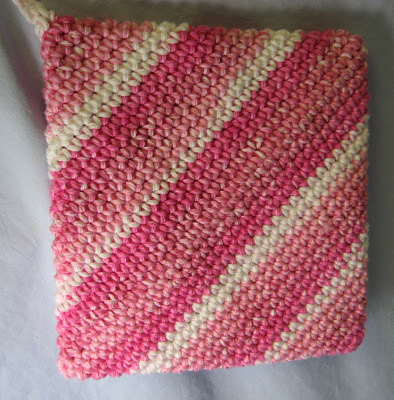 One of these 100% cotton hot pads wrapped around a nice wooden spoon and tied with a ribbon would make a lovely party favor for each of your guests. This would also make a nice housewarming gift for a first-time homeowner or for a college student moving away from home for the first time. 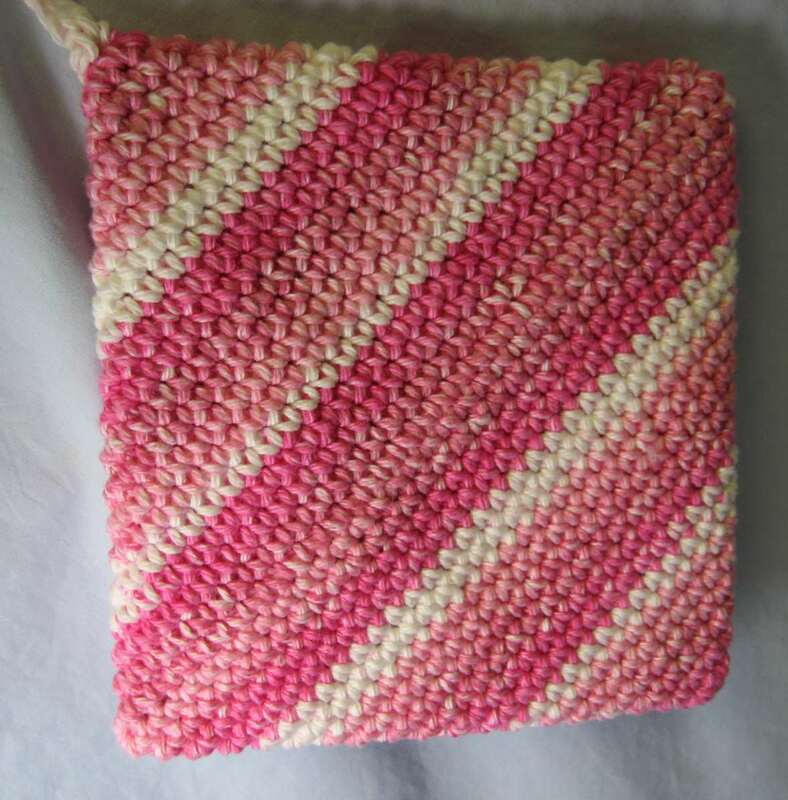 Just love the hot pads, looks like candy.will wait for your video.Thanks for sharing. 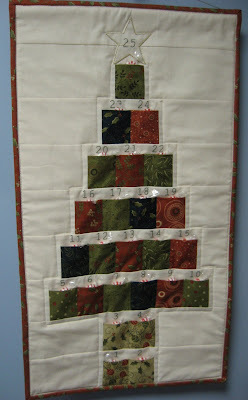 There is a link to the video tutorial post in the paragraph just under the last photo! 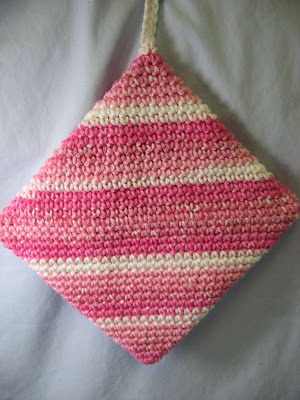 But here it is too: http://www.hookedonneedles.com/2010/05/crocheted-cotton-hotpadpotholder-video.html Enjoy! 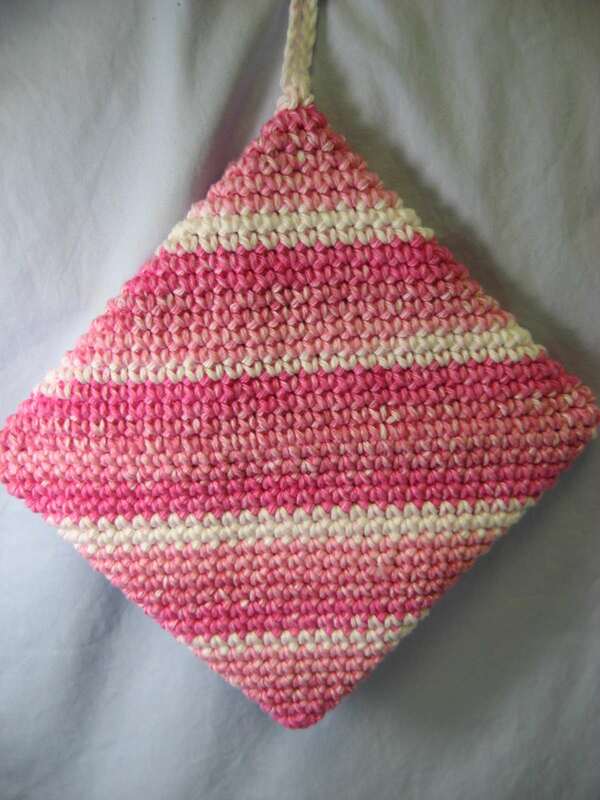 Mary Grace- this is a beautiful pattern for hotpads. 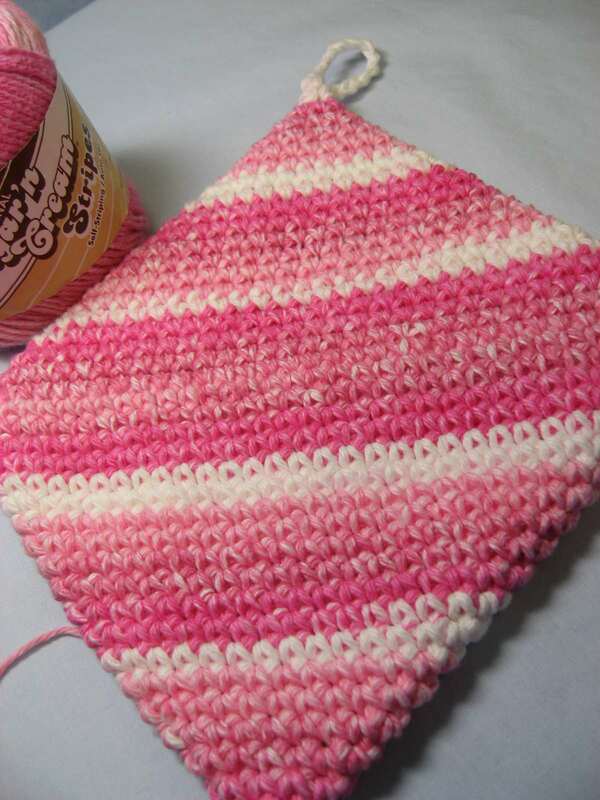 I am about 1/2 done making mine from your pattern and noticed the part where I have the 37 chain stiches in the beginning with single crochet in every opening is creating these big holes all the way across . What am I doing wrong?